This week at the Game Developers Conference, Epic Games took their usual opportunity to show off the latest developments in their whiz-bang Unreal graphics technology. In addition to the shooty/demonic demos in futuristic/fantasy settings, one of the most touted features of the engine was that it can scale from next-gen consoles like the PlayStation 4 all the way to mobile devices and even web browsers. 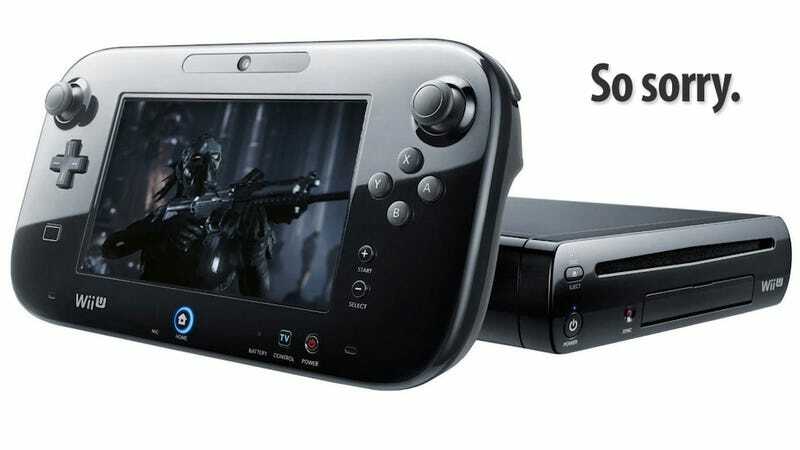 Which raises the question: If the Unreal Engine 4 is so scalable, can it run on Nintendo's still-new Wii U? Impressive Unreal Engine 4 Graphics Demo &apos;Infiltrator&apos; Leaks Early. This Is Next-Gen? So, it sounds like for all intents and purposes, the Wii U won't be getting the Unreal Engine 4, and therefore won't get games made using the engine. Coupled with the news from earlier this week that the Wii U won't run EA's new Frostbite 3 engine (which runs Battlefield 4 as well as the next Dragon Age and Mass Effect games), it's looking like Nintendo's console is going to have an increasingly difficult time keeping up with the competition. Update 5/1/2013: Speaking the next day with Engadget, Rein characterized his comments as a "stupid gaffe" and reiterated the notion that while Epic won't officially support UE4 on Wii U, "if someone wants to take Unreal Engine 4 and ship a game on Wii U, they can! If they wanna ship an Unreal Engine 4 game on Xbox 360, they could make it happen."